The most important medieval church in Verona, the Basilica di San Zeno Maggiore was founded in the 5th century and rebuilt in the 12th century. It has a magnificent Romanesque facade, fine bronze doors, and many important artworks inside. The Church of San Zeno was founded in the 5th century to shelter the relics of Verona's patron saint, Bishop St. Zeno (d. 380). Born in North Africa, Zeno is credited with converting Verona to Christianity. Many of his sermons still survive. A few centuries later, the church was rebuilt on a larger scale to accommodate pilgrims and serve a new Benedictine monastery founded by King Pepin. The new basilica was consecrated on December 8, 806. After destruction by Hungarian invaders, the church was again rebuilt in 963-83 by Saint Adalberto. The present incarnation of San Zeno dates primarily from 1120-38 with additional work in the 13th century. Construction actually began around 1100, but a major earthquake in 1117 destroyed almost all progress to that point. The wooden ceiling and apse were added in 1387-98, which necessitated the raising of the nave. The Monastery of San Zeno was dissolved by the Republic of Venice in 1770; the basilica became a parish church in 1806. In 1870-71, a 16th-century stairway between the nave and choir was pulled down and replaced with two side stairways. The central steps down from the nave to the crypt were added at the same time. The presbytery was restored in 1931. The grand west facade of San Zeno is made of a warm tufa stone and brick and centers on a large rose window known as the Ruota della Fortuna (Wheel of Fortune), created in 1217-25 by Maestro Brioloto and Adamino da San Giorgio. It was under scaffolding for restoration work during our visit in late 2010. The west portal dates from 1138 and is full of magnificent Romanesque sculpture, including two long reliefs of biblical and allegorial scenes stretching along the facade to either side. The reliefs on the right side were sculpted by Master Nicolo (who also sculpted the portal of the cathedral) and depict scenes from the Old Testament and the legend of Theodoric. Those on the left, sculpted by Nicolo's student Guglielmo, illustrate scenes from the New Testament and battles between knights and foot soldiers. San Zeno's magnificent bronze doors, dating from the 12th century, are one of the great artistic highlights of Verona. One of the first castings in bronze made since Roman times, they are decorated with 48 panels illustrating biblical stories and the lives of St. Michael and St. Zeno. The bronze panels were created by multiple unknown artists. Those on the left door, depicting scenes from the New Testament, were created by a German artist around 1100; those on the right, portraying the Old Testament, were made by a local Italian artist in the second half of the 12th century. The detached Romanesque campanile was begun in 1045 and completed in 1178. The wide battlemented tower to the north (left) of the church is the sole survivor of the 9th-century Benedictine monastery. The floor plan of the church is long and relatively narrow, with three aisles supported on piers and columns and covered with a wooden roof. Typical of Romanesque pilgrimage churches, the choir at the east end is raised to make room for the crypt beneath. The right/south apse is one of the oldest parts of the church (10th century), while the central apse is one of the newest (14th century). The crypt dates from the 13th century but is supported on ancient columns. It still contains the relics of St. Zeno, now contained in a modern sarcophagus, as well as the tombs of other saints and bishops. The Romanesque cloister, dating from the 12th to 14th centuries, is entered from the north aisle of the church. It has small double columns of red marble and many tombs and monuments. Off the cloister to the left is the Oratorio di San Benedetto (13th century, but possibly having Early Christian origins), which displays some ancient capitals. Personal visit (November 19, 2010). The Basilica of San Zeno. Pamphlet published by the Associazione Chiese Vive Verona. 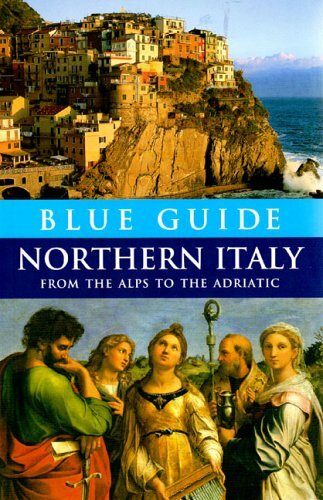 Paul Blanchard, Blue Guide Northern Italy, 12th ed. (London: Somerset Books, 2005), 341. Below is a location map and aerial view of San Zeno Maggiore. Using the buttons on the left (or the wheel on your mouse), you can zoom in for a closer look, or zoom out to get your bearings. To move around, click and drag the map with your mouse.